As had many folks delayed by late March whiteout snowstorms, your intrepid correspondent arrived in Aspen Friday morning to glorious sunshine and a few inches of fluffy powder - a fabulous milieu for the second Aspen Environment Forum here at Aspen Meadows. Initial reports of the first day of activity, including a Wednesday evening keynote by new EPA administrator Lisa Jackson atop Aspen Mountain, were uniformly positive. At lunch, John Latham, executive professor and director of University of Northern Colorado's Monfort Institute, made a super point to me as we discussed the first 30 hours of the conference - that we could use a form of argumentation table, where participants could check off 'agreed science' and 'agreed better practices' so debates an move forward. Furthermore, he noted systems theory, very helpful to approaching environmental issues, was not being used sufficiently actively in general discourse about environmental issues and impacts. After a planes, trains & automobiles itinerary - including a missed connection in LA, and a one-way rental car - I'm in Palm Desert for Demo. For those of you who aren't here in the warmth of southern California (84 degrees today), you can watch Demo live (though I'm assuming this doesn't include a remote wander through the demo pavilion). Free remote video from conferences still takes some getting used to. When we first launched Conferenza back during the tech boom, confererence producers often looked askance at our in-depth reports from their events, believing that their content was their crown jewels. Our sharing information from the inner sanctum to people who hadn't paid to attend seemed like theft to some of them. Of course, this didn't include Demo producer Chris Shipley, who has always been a gracious supporter of Conferenza. But there were more than a few producers who did their utmost to hamper the escape of their information. Today's a different story. From TED to Pop!Tech, a conference's content is now its greatest attractor. And conference producers aren't shy about using it as their best advertisement. Looking forward to seeing the parade of 39 companies over the next few days; I'll be doing video interviews for IdeasProject, and blogging when possible. Among the legendary gift bag shwag and door prizes at TED this year is a very special ride not available over North America for nearly three quarters of a century - a 12-person tour on Airship Ventures' Eureka,the world's largest and most modern Zeppelin. Originally, the 75 meter-long craft was scheduled to fly to Long Beach to circle over the TED conference and provide rides to TEDsters, including the door prize and a group of advisers to TEDprize winner Jill Tarter. But incoming storms late this week forced those plans to be abandonned. Instead, the company kindly offered me a flight over San Francisco Monday, including a thrilling three minutes circling 1000 feet above the Golden Gate, so I could provide photographs and film footage to TED. The ship is the brainchild of husband-wife Silicon Valley entrepreneurs Alexandra Hall and Brian Hall, and arrived in late October in the San Francisco Bay Area, where it's housed at an airship hanger at Moffett Field, where the Navy's USS Macon and USS Akron were stationed in the mid-1930s. The couple were inspired by a ride in a Zeppelin over Germany during the 2006 World Cup soccer championships, and the discovery of Zeppelin NT [New Technology], a new generation of rigid aluminum and carbon fiber airframes made in Friedrichshafen, Germany, the historic capital of Zeppelin construction. The history of the airship and its journey from Germany to the United States are chronicled in the company's blog, here. Investors include frequent TEDsters Esther Dyson and Google co-founder Sergey Brin. Because the airship did not make it to the LA area, which would have been its first non-transit tour to Southern California, the two-hour door prize flight will now be set in the Bay Area, for a similar tour as that pictured below. Over Golden Gate, looking towards Marin. Vessels travel under south end of Golden Gate Bridge. The multi-billion dollar Eastern Span of the Bay Bridge, towards Oakland. Palace of Fine Arts & Exploratorium. Google-plex, with Solar PV atop roof. Airship Ventures co-founder and CEO Alexandra Hall at the airship's broad rear window. Eureka pilot Kate Board, the world's only female Zeppelin pilot. Poster at Moffett Field HQ. TED's biggest gathering yet is assembling this morning for a kickoff session which features Microsoft founder Bill Gates discussing philanthropy and dozens of other innovative, cutting-edge efforts to improve human well-being and our knowledge universe. "I work for a Democratic polling firm. It's not like I'm here to actually do anything useful." As with four years ago, I'll be filing some observations from a different form of convening than our usual Conferenza fare - the Democratic National Convention in Denver. Our posts here are not geared to be partisan, but will take an opportunity to pass on observations related to our usual topics, including technology, critical thinking and leading trends in business and society. Fabled Technology banker Frank Quattrone, reinvigorated after his return to the capital markets in March, didn't take long to dash the hopes of scores of entrepreneurs attending Tony Perkins' AlwaysOn "Summit at Stanford" conference here. Quattrone, as much as anyone perhaps the financial architect of Silicon Valleys Internet boom of the late 1990s, was cleared of federal obstruction-of-justice charges two years ago and subsequently the Securities and Exchange Commission lifted an NASD decision which had barred him from the banking business. No sooner had Quattrone reopened shop in mid-March, as head of Qatalyst Group, than he became engaged with Google Inc. to advice on the Microsoft Corp. bid for Yahoo Inc. However when Quattrone invited a panel of startup heads he was moderating on the stage of AlwaysOn here to ask him questions on the state of the current technology market, he essentially threw cold water on the chances of any quick payoff prospects for most of today's startups. Although there might be some "Rollup models of subscale companies," to enable them to reach critical mass, he said, without this strategy the vast majority of companies simply should not expect to become eligible for public stock offerings, for example. For the next two to three years at least, he said, maybe no more than 5% of venture portfolio companies could be expected to reach a trajectory where they could be considered for the public markets - and in some cases many of them might be advised to expand as much as possible privately. So, even for these fortunate companies, the best may be advised to seek private financing during their effort to accelerate their market position. In other words, acquisition or leveraged buyout roll-ups are much more likely prospects for today's startups. Quattrone reminded his audience at Stanford's Arrillaga Alumni Center of the cascading hierarchy model for IPO (initial public offering) eligibility for the public market - especially growing the top line by at least 25%, with 50% and higher all the more favorable for public market investors. A major factor to the shrinkage of the IPO market was the fact analyst coverage has diminished dramatically, and current sell-side firm analysts simply don't have the bandwidth, nor can expect the financial payback necessary, to cover smaller companies in the current markets. This was not helped, he added, by the avid prosecution of two equity analysts by former NY Attorney General Eliot Spitzer. While awaiting regulatory approval, Qatalyst is operating as a divisin of JMP Securities. Through a succession of banking operations at Credit Suisse, Morgan Stanley, and Deutsche Bank, Quattrone underwrote some of the technology sector's most successful IPOs, including those of Amazon.com, Cisco Systems Inc., and Netscape Communications. The latter lit the spark that led to the Internet IPO boom. A subsequent federal investigation caught up Quattrone in four years of legal wrangling across two trials involved allegations of obstructing a probe into allocation of shares in hot IPO stocks. 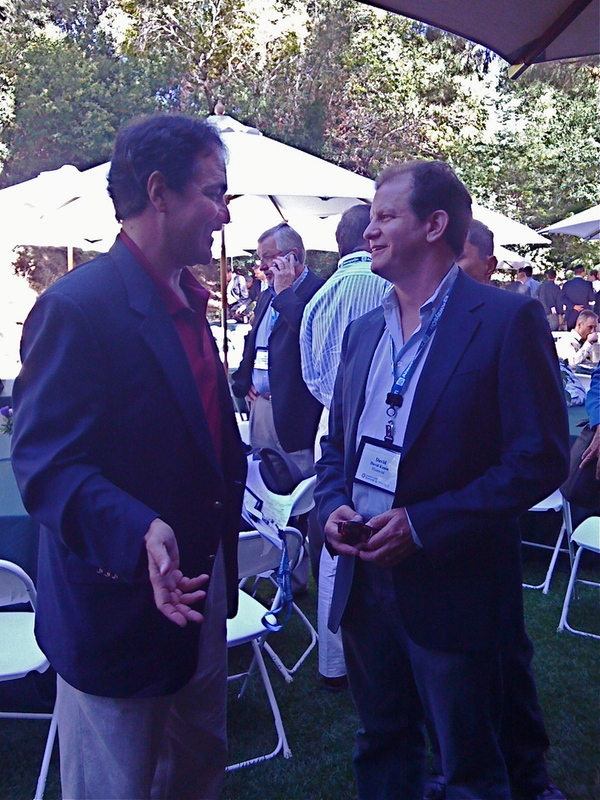 Quattrone speaks exuberantly with investor David Kunan following his panel at AlwaysOn's Summit @ Stanford. "Like a kid in a candy shop," Quattrone tells Conferenza, of his return to the industry. ADDENDUM: Nice writeups in the San Jose Mercury News and the San Francisco Chronicle. AlwaysOn's Summit at Stanford 2008 began Tuesday evening with the unveiling of the "Global 250" startup companies selected by the media company as up and comers, and a luminary panel on Big Media and online video moderated by investor Bill Gurley. Much of the enthusiasm was the degree to which companies like Apple Co., through iTunes, have made it possible to measure and monetize video made available over the Internet. "The more people watch...the better we perform," said John Edwards, CEO of Move Networks. Or, as Edwards notes, finding television programming in many ways a replacement to the Tivo/ video recording device... saving the overhead of storing it. 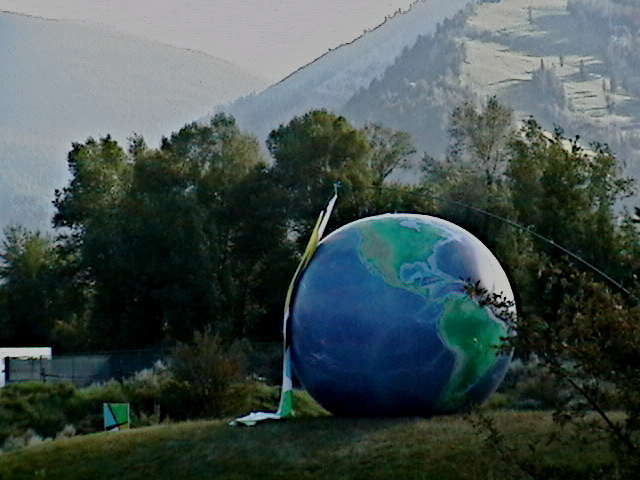 Aspen IdeasFestival4! Friedman Forsees an Era of "Out-Greening"
New York Times Columnist Tom Friedman told an overheated capacity crowd at Aspen's Benedict Music Tent the world is "Hot Flat and Crowded" and our country would need to engages soon in a competition to "out-green" one another if we are to combat the effects of planetary environmental degradation. Speaking on a hot afternoon to a combined session at the midpoint of the Aspen IdeasFestival, Friedman for the first time discussed publicly the details of his upcoming 400-page book of that title, [Hot, Flat and Crowded: Why We Need a Green Revolution - and How it Can Renew America]. Friedman, a much admired summer resident of this paradise at 8,000 feet, divided his subject into five areas - climate change, a topic he calls "Petro Dictactors", biodiversity, energy and resource supply and demand. One of the pivotal chapters of the book, which of course argues that the earth is increasingly flat (global), its population is growing (to more than 9 billion in the next "half lifetime") and is already getting hot (climate change) is we're soon going to have to weigh the preservation of biodiversity against the sixth great extinction in earth's history, with a species vanishing every 20 minutes, or about 1,000 times a normalized rate. "Imagine of rainfall were 1,000 times the norm, or the spread of HIV or snowfall," he said. Against this background, Friedman notes, one out of four people - 1.6 billions currently - have no on-off switch in their life, guaranteeing they will only fall further behind, not just arithmetically but exponentially. Nonetheless, the columnist and author said, he is optimistic about the opportunity created by the chaos, if American take a leadership role, and can perform at its best. This has not been the case in recent years, despite growing public concern over the environmental piece of the puzzle. "We're having a green party. It has nothign to do with the scale of change that we need," he said, reading off a list of scores of book titles that have emerged about going green - many of which including the term "Easy" ways of doing so. The rest of his book, due out in September, turns to progress across each of these defined areas, and how this progress may be advanced by focussing on immediate need. Examples are rife, Friedman said, including in areas one might not expect, like in Iraq, where the U.S. military literally is trucking fuel at $20 a gallon delivered cost, and is exploring alternative energies to, literally, "out-green" al Quaeda and other foes there. Like many of the companies who made money in the industrial revolution building railroads and shipping companies, and telecommunications and computing companies in the technology boom, Friedman insists the true green technology gains will be made when the enterprises are committed to the more mundane, boring sides of the business. "If you want to be green, you want to make an impact, understand the rules of the game," he implored. Peabody Coal and Exxon understand the game, even if they are not fully credited for it. "They're not on Facebook, they're in your face. They're not in the chat rooms, they're in the cloakrooms. They're writing the rules." As regular readers will know, my submissions from many conferences, and especially Aspen Ideas Festival, are intended to summarize the spirit of the conference and to try to give you the essence of the sessions I attend. Sometimes, I race between two and even three sessions seeking to accomplish this, without disrupting them of course. This year, with 175 sessions and some blocks sporting half a dozen and more simultaneously, I am finding even less time to file between sessions as in prior years. So you will find some direct reporting of sessions like the panel with Gen. Colin Powell and Sen. Sam Nunn, already posted, and a Charlie Rose interview with JP Morgan Chase chairman and CEO Jamie Dimon and Tom Friedman's ringing account of his upcoming book, which will appear reasonably soon. There will also be pieces integrating sessions over the six days on issues such as the environment and national security. Aspen Institute and the Atlantic, who jointly produce this sensational gathering around America's most patriotic holiday, also have created three 7-day tracks (Arts and Culture, American Experience and Global Dynamics) plus eight 4-day tracks and one "Bonus theme" [the 'Get Engaged' series on civic participation]. Details can be found on the conference website. Meantime, there is of course very excellent running reporting on the Atlantic's website. They're co-producers, after all, and they are bristling with excellent journalists and editors. The Aspen Times and the Aspen Daily News online also have daily coverage, if a bit more spartan than in past years. Video is being captured and made available online in interviews by the Aspen television group Plum TV. As with last year, the institute is also working with Fora TV to webcast talks and panels, both in shorter clips and in longer coverage, available here. Fora TV is also making available interviews of prominent speakers with perennial Aspen Institute attendee, Henry Crown Fellow and Socrates Seminar uber-participant Peter Hirshberg, a master of multimedia. Local real-time coverage of some sessions are available on Aspen Public Radio.